With coming age of the customer only our customers decide how customer-centric our companies are. 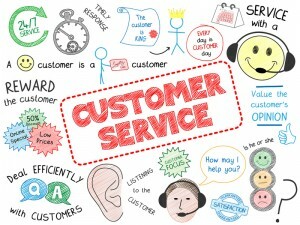 Today more and more attention is paid to customer service quality. According to Accenture Global Consumer Pulse Survey in 2013 66% of users globally switched to competitors due to poor customer service. In this article I highlighted the most important challenges which customer service faces today. As Peter Drucker said: “Quality in a service or product is not what you put into it. It is what the client or customer gets out of it.” So what do we need to achieve to make our customer service better? “In the long run, no matter how good or successful you are or how clever or crafty, your business and its future are in the hands of the people you hire.” – Akio Morita, co-founder, Sony. What we do during our customer support workflow is pure customer service which cannot be comprehensive if we get stuck into assisting via one or two support channels. Today customers expect omni-channel customer service and thus we need to meet these demands of modern Internet shoppers and offer a seamless, consistent and personalized customer service experience. Do you still use social media channels only for marketing purposes? Today customers more and more tend to use social media when they would like to share their experience with companies, complain or just ask questions. If such posts remain unattended this may harm your brand and scare customers away as the word of mouth spreads faster than you can imagine. Customers become more and more demanding each year. To deliver excellent customer support service you need to use various tools in your customer support workflow. Those are not only tools which are used in direct interactions with customers like email, phone, social media and live chat. You also need to introduce a CRM or ticketing system which allows you to track interactions with your customers. In addition to this, it’d be necessary to train your team to use all these tools to their full potential. “Good service is good business.” – one of the most widely used mottos. With businesses coming to a global market it becomes necessary to cover all time zones and offer customer support to users from all corners of the world. 24/7 customer support is a must for global market players. If you wish to win the world, invest in your customer service and hire a team to cover 24 hours. You may consider outsourcing as a cheaper alternative to having a dedicated team. You may also consider having a powerful FAQ section or KB on your website which will help your users to find answers to the most frequently asked questions and will explain some general issues which your users face quite often. From day to day users become more and more Internet savvy and they prefer using online resources before contacting your support or submitting tickets with their questions. This may save both your and your customers’ time and will make your customer service workflow more efficient. When utilizing live chat software on your website, take advantage of real time visitor monitoring and pass information about your customers from your database to your customer support reps.
Track all interactions with customers and access support cases submitted by each customer with a click. Add more human touch to your support channels. This can be a warm greeting by phone, smiling agent’s picture on live chat or personal approach when replying by email. Let your customers share their ideas and tell about their customer service experience. You can introduce a feedback system and let your customers leave comments in post chat surveys or in your company forum and blog. Listen to your customers, let them share their suggestions and feedback about your products and services and then implement those changes and updates your customers were asking for. Do not wait for your customers to contact you. Make your customer service proactive and reach your customers out with relevant information. By offering various customer service options and engaging your customers directly with help of live chat or newsletters you will win not only loyalty but will also increase your ROI. Do not leave your customers’ feedback, comments and complaints unattended. Offer your customers something better than they expect. By exceeding their expectations you will be rewarded by their loyalty. Our customers are our best source of learning, they bring us fresh ideas and tell us about our weak sides and where we should make improvements. Use social media to engage your customers, share useful content, follow their comments and interact with them. If you are ready to face all the challenges discussed above, you will win lots of loyal customers who will not only come back but will also spread the word about you. But remember, to win customers’ loyalty it’s not enough to satisfy them, you need to offer them exceptional service which is worth doing business with you in future and bringing new customers. Are there more customer service challenges your business faces? Share them with our blog readers. This entry was posted in Articles, Tips and Tricks and tagged customer service, customer service challenges. Bookmark the permalink.